The below message is from Ms. Vickie LaFollette, DoD, Military Community and Family Policy. Her message is informing of new relocation legislation requirements effective October 1, 2018.
a. Effective October 1, 2018, as authorized by Section 403a of Reference (n), Military Department regulations will permit eligible Service members to request the housing flexibility options specified in paragraph 10.c. of this enclosure while undergoing a PCS within the United States (including Alaska and Hawaii). When used with regard to housing flexibility options during a Service member’s PCS, the covered relocation period begins 180 days before the date of the PCS, which is the date the Service member leaves his or her current PDS, and ends 180 days after the date of the PCS. The Secretary of the Military Department concerned may shorten or lengthen the covered relocation period based on the needs of the Military Service. (3) Are caring for an immediate family member with a chronic or long-term illness. (1) Continuation in government-owned or government-leased family housing of the Service member’s spouse or other dependent if they are residing in such housing at the beginning of the covered relocation period. The spouse or other dependent may continue to reside in such housing during the covered relocation period. Requests for this option should be approved only if approval will not adversely affect other Service members who will arrive at the current PDS during the period of continuation in housing. (2) Early housing eligibility when the Service member is eligible to reside in government-owned or government-leased family housing at the new PDS. The spouse or other dependent may move into such housing at any time during the covered relocation period, if it is available, even if the Service member has not arrived at the new PDS. (3) Occupancy of government-owned or government-leased unaccompanied housing by a Service member with dependents. If a spouse or other dependent of a Service member relocates at a time different from the Service member, the Service member may elect to reside in such housing until the Service member’s detachment date from the current PDS or until the Service member’s spouse or other dependents arrive at the new PDS. Occupancy in such unaccompanied housing will be provided on a “space-available” basis and may not displace a bona fide unaccompanied Service member with no dependents at such housing. (4) Equitable basic allowance for housing. If the spouse or other dependent of a Service member relocates at a time different from the Service member, the amount of basic allowance for housing may be based on whichever of the following areas, prescribed in Reference (m), the Secretary of the Military Department concerned determines to be the most equitable. In no case may the Service member’s basic allowance for housing be lower than the amount payable under Section 403(d)(3)(A) of Reference (n). (a) The area of the duty station to which the Service member is reassigned. (b) The area in which the spouse or other dependent resides, but only if the spouse or other dependent resides in that area when the Service member departs for the next PDS, and only for the period during which the spouse or other dependent resides in that area. (c) The area of the Service member’s former PDS, but only if that area is different from the area in which the spouse or other dependent resides. d. Relocation assistance programs are statutorily required and intended to minimize the adverse effects of stressors associated with PCS moves. They must provide information and education regarding these housing flexibility options during PCS to Service members and their families. Specific relocation assistance policy is prescribed in DoDI 1342.22. 6/16/2016 – ELLSWORTH AIR FORCE BASE, S.D. — Due to market saturation in the commercial moving industry, a blackout for government procured shipments originating in South Dakota is currently in effect through mid-July for all personnel who intend to schedule a government procured move or release of non-temporary storage. The earliest date personnel can request to schedule pack and pick-up of household goods or release of non-temporary storage is July 18. Those with a departure date after mid-July must schedule their pick-up date later than July 18. Those who must depart prior to mid-July can assign a releasing agent when submitting a Defense Personal Property System request. This individual will oversee the packing and pick-up of household goods. Personnel may also use a personally procured move, which will reimbursed by the government upon completion. As the permanent change of station season progresses, there may be changes to the blackout dates. For more information, contact the 28th Logistics Readiness Squadron Personal Property Section at (605) 385-6597. 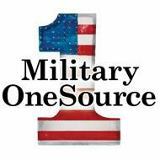 Join Military OneSource for Searching for a Job as Military Spouse During Relocation Webinar on Thursday, March 14, 2013 from 2:00 p.m. to 3:00 p.m. EST (12:00 p.m. to 1:00 p.m. locally). This new webinar is being presented by Spouse Education and Career Opportunities (SECO) to help military spouses plan their job search during a PCS move.